The most populous state is the first to take on this complicated initiative. California schools have cracked the spine on open source, free digital textbooks in an attempt to save money and to make educational resources easier to access and update. The cash-strapped state launched the nation's first open source digital textbook initiative last May, asking content providers to submit high school-level math and science texts for free. 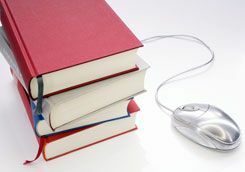 The state reviewed 16 digital textbooks, available as PDF files (downloadable at the California Learning Resource Network), scored by how well they align with state standards. Teachers began accessing the texts online last fall. Some of these texts look just like scans of traditional hardbacks, while others are clearly formatted or written for the digital age, featuring dozens of links to supplemental reading sources. Teachers can print out the materials for students or display them overhead via projectors or interactive whiteboards. "It's not about the hardware," says former state secretary of education Glen Thomas. "It's about the content." Open source digital textbooks, which contain free, typically changeable material that can be shared between teachers, have been in the works for several years and are just one part of a larger movement to transform learning through the use of technology. "There are a number of different 'asteroids' out there, such as digital textbooks, one-to-one computing, and sites like Educator.com," says Brian Bridges, director of the California Learning Resource Network, which reviews digital textbooks. "They are all flying in the same direction and will eventually merge and create something new." With nearly 6.3 million students, California is still far from being able to provide a laptop for everyone, as the state of Maine, with its total number of 189,000 students, was able to do for its seventh and eighth graders (as of fall 2009, about half of Maine's high schools had laptops for each student). "There's desperation with the budget in California right now," Bridges says. "The digital textbook initiative would merge well with a one-to-one model, but there aren't any funds to make that happen." Some critics question whether a digital textbook initiative will work, citing lack of quality control over factual information and no comprehensive plan for the future. But most educators believe it's an important step toward fixing the challenged textbook system, according to Douglas Levin, the deputy executive director of the National Association of the State Boards of Education. "There's been a sense for a long time that the system we have for textbooks hasn't been working," Levin says. "We're seeing now there may be a way to fix it. It's less a question of whether we go there but how we go there." Going digital could help solve some of the state's financial woes. "By going open source, we knock down price barriers," says Thomas. He says the savings could be significant. Unlike their hard-copy cousins, digital textbooks can be quickly updated with recent discoveries and current events. California adopts new books every six years. (Some classroom textbooks still describe Pluto as a planet.) In contrast, the state-reviewed PDFs will be updated after two years. In the meantime, teachers looking for more rapidly updated information can head to the sites of digital textbook providers like Palo Alto–based nonprofit CK-12 Foundation or Curriki, based in Washington, DC, to acquire the newest version or even remix a digital textbook of their own. On these open-source sites, materials created and reviewed by educators are shared under a Creative Commons license, which means other teachers may use and adapt the content for free. On CK-12, after doing a keyword search to find books or chapters on a certain topic, teachers can combine their chosen items into a single document called a FlexBook that can be printed out or saved as a PDF and used in class as teaching material. The site also provides a Microsoft Word-like text editor that allows teachers to customize material. Curriki hosts a greater variety of resources, including worksheets, games, and lesson plans. Teachers group their favorites as online "collections" that they can invite other teachers to share, discuss, or add to -- much like an iTunes playlist. Materials can also be printed or downloaded, and teachers who want to contribute their own materials can do so by using simple online templates. On sites like these, teachers can peer-review information for accuracy. In addition to timely updating, some digital textbooks have functions their paper counterparts don't, such as searchable text and embedded videos, audio files, quizzes, or simulations. Hyperlinked keywords can guide students to more detailed information off-site like definitions or pronunciation guides. Open source texts can also be personalized for each classroom. James Dann, who teaches physics and applied science research at the private Menlo School in Atherton, California, was an early convert to free online textbook sharing. In 2004, he posted his own creation, The People's Physics Book. It's now featured in CK-12's lineup. Dann still constantly refines it, using CK-12 to mix parts of his own book with supplements he finds helpful or adding new ideas of his own. Something simple, he says, like inserting a football team's name into a word problem or referring to a memorable in-class demonstration, can help engage students' attention. "You can really make the book fit your class," he says. For Thomas, making information available to everyone is an important part of the digital textbook equation. "Content that is ubiquitous, that's available to you day and night in a variety of formats -- that's real equity," he says. Digital textbooks are starting to be accessible on cell phones, too. "Even the students who are at lower income levels have these tools," says Dave Fontaine, an online instructor for the University of Rhode Island's Graduate School of Education. As California plans to expand its program to subjects other than math and science for grades nine through 12, more states may soon follow its lead. Indiana, Florida, and Virginia, which released its own physics FlexBook via CK-12, are boosting their digital content use, and the U.S. Department of Education's National 2004 Education Technology Plan has prioritized online and multimedia content. Teachers like Dann don't miss the hefty old hardbacks at all. Sites like CK-12, which allow teachers to modify books to fit their students' needs, he says, are "exactly what we need." Kara Platoni is a freelance science writer in Oakland, California. How much money can open source digital textbooks save? In California, it could depend on how many school districts warm to the digital initiative. In 2008, the state allocated $350 million for open source instructional materials -- but that's not counting what the districts contributed. By comparison, $600 million is what the state paid for new books in 2007, according to the Association of American Publishers.